"Don’t tell your team what to do, let them tell you what they want to do"
If you looked at the image from our project plan in the last chapter, you might notice that the ‘assigned’ column is blank. You have not yet assigned a specific person to perform each step. This almost guarantees the steps will not be completed. You have to assign steps to specific people to perform on specific days. If you’re working as a solo community manager, this stage might be easy. You have to do every step whether you like it or not. If you have a team, you should consider carefully who is the best person to complete each task. As tempting (and as efficient) as it might be to assign work to your colleagues, it’s usually better not to drop new work and responsibilities on them without their input. This is where egos and personalities can collide with tactics and derail your lovingly crafted strategy. You don’t want people to feel forced into the project. You want them to be motivated and eager to contribute to the project. This is a bigger topic than we can cover here. However, one key principle really matters. This is a combination of abilities and passion. The most talented person is not going to do a great job on a task they do not enjoy. This is why you need to identify who has the talent to perform each task and who has the interest in performing each task. This concept was best explained by Jenn Lopez at Moz. Here is a common situation. You’ve broken the plan down and assigned each of the steps to different members of your team. Everything is ready. Then disaster strikes. Hardly anyone has done the work they were supposed to do. Worse yet, those that have done their tasks have performed poorly. Perhaps the emails they have written, or content they have created is barely usable. It could be many things. Perhaps the most likely is the people you assigned to do the work simply didn’t want to do it. Perhaps it wasn’t aligned with their business objectives, or they didn’t enjoy that type of work? Perhaps they regretted someone else forcing extra work upon them? This is common. 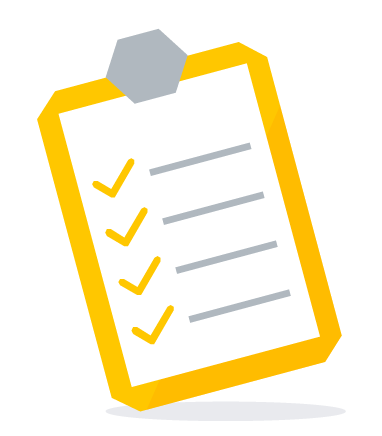 Create a list of the tasks that need to be done and share it with your team. Let your team identify the tasks they love, like, and hate. You might be surprised just how much people enjoy the kinds of tasks that you might hate. This will also highlight people who aren’t putting themselves forward for any task. Social pressure should compel everyone to highlight what they would most like to do and what they would least like to do. Based upon this information, you will identify the best person for each task and assign a backup if they are unable to do it, or it’s not within their best skillset. Don’t assign actions to your team without their input. List the tasks and let your team identify what they love, like, and hate. Based upon this, assign tasks and identify a backup to each task.